Sorry, we are currently sold out of 'Costa Rica Sin Limites Yellow Honey'. Please check back later. New crop arrived September 2015 in grainpro. Another fantastic honey microlot from Costa Rica's West Valley. Grower and micromiller Jaime Cardena is an aficionado of the honey process, better known in some countries as pulped natural. Honeyed coffees for those unfamiliar with term, are cherries that have their outer skin (pulp) removed, then are fully dried in the sun, on raised African beds, while still encased in their mucillage. 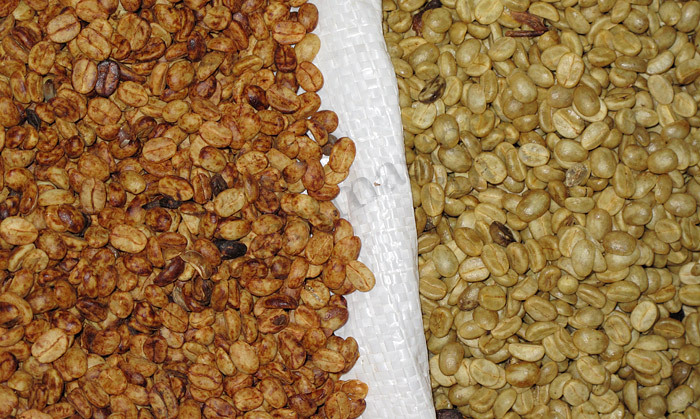 The drying mucillage imparts a flavor that penetrates through the thick parchment skin that houses each bean. The resulting cup profile, which of course varies greatly, is generally syrupy and more mellow than washed coffees. The color designation such as yellow, red, black are based on how much mucillage remains to dry on the husk; the more mucillage the greater the fruit penetration. Yellow Honey has a relatively small amount of mucillage remaining. Jaime Cardena has taken Costa Rican honey coffees to a new level. His coffee took second place in the 2008 Cup of Excellence and he is always in the top group. His farm is very small, only 1 hectare (2.5 acres). 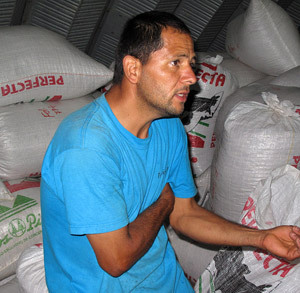 But he has set up an impressive small micro-mill using a Gaviota 2500 pulping machine and processes coffee on behalf of a number of his neighbors in the West Valley. It can be calibrated to remove just the coffee's skin or it can wear mucillage off depending on the miller's intent. And, like all of the modern depulping machines, it uses very little water and has minimal environmental impact. 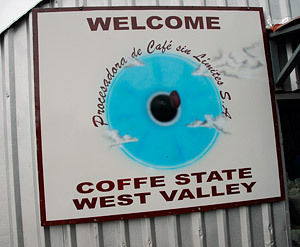 He produces red and yellow honey coffees using the Villa Sarchi varietal, a hybrid of Bourbon developed in this West Valley, known for its sweetness. Jaime's Micro mill is called Sin Limites, meaning without limits. This coffee showcases the importance of proper technique, innovative processing, and hard work in making a name for oneself in the specialty coffee world. 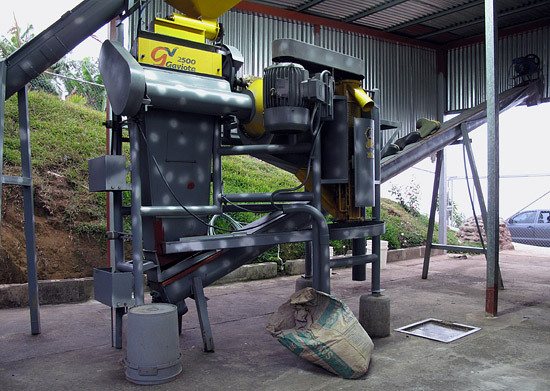 Cup Characteristics: Floral, sweet but not high in acidity due to honey process. Very interesting, almost spicy on the palate. Structured, balanced, solid. Roasting Notes: Can be handled like any other high grown coffee from the region. The bean are dense and hard, can withstand need significant heat after beans turn to yellow/tan at about 300 degrees. We recommend generally lighter roasts of this coffee, settling in at City+ to Full City, perhaps 45 seconds after first crack. Red honey on left, yellow on right. The color mainly determined by how much pulp is milled away.